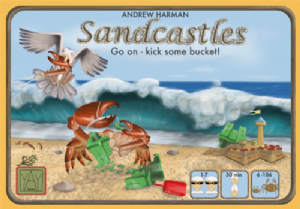 In this light and simple but strategic game, you can add to sandcastles with bucket, crab and seagull cards. You can steal sandcastle parts from other players. And when your sandcastle is complete, you can earn bonus points as well as the points for the sandcastle you have built — but be warned that others will be aiming to grab bits of your sandcastle and trying to steal your bonuses. 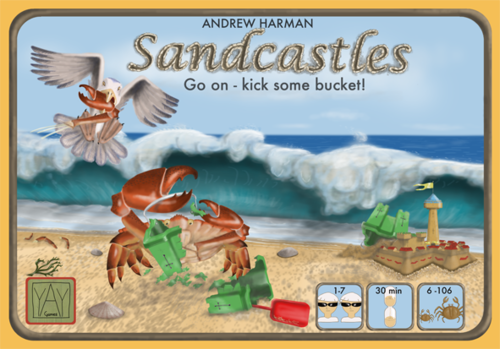 Sandcastles plays 3-7 players as well as having a two-player variant and a solo game. Sandcastles is another of YAY Games '2 Turns to Learn' games.